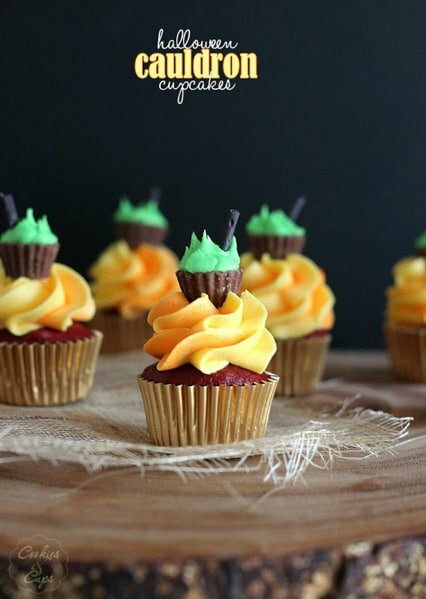 This post is courtesy of our contributor Chelsea…Since I was a little girl, I have always loved Halloween cupcakes because you can get so creative with them. 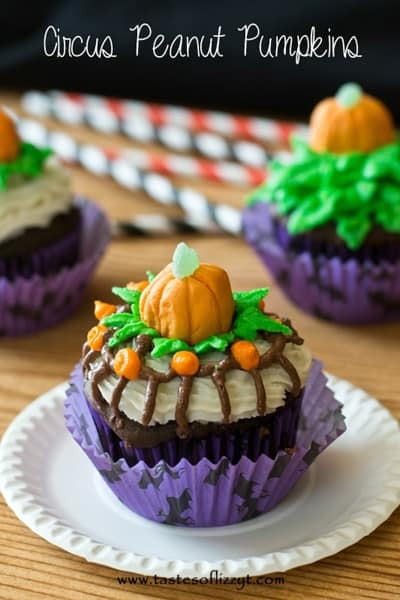 Halloween cupcakes are a great reason to dig into that candy early for decorating…and maybe a little taste testing! What are some of your favorite toppings to use on Halloween treats? These creative cupcakes are courtesy of other talented bakers and bloggers. Click on the title of each recipe to open the full details in a new window. 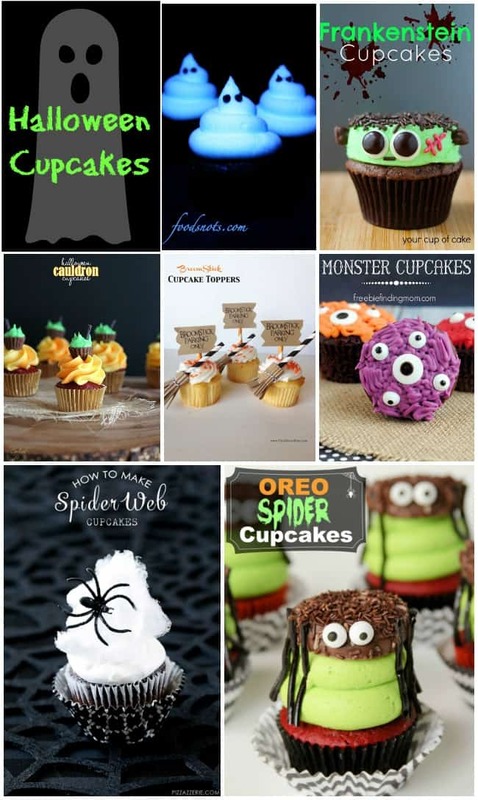 Visit our Cupcake category for more delicious ideas and our Halloween Fun page for more creative ideas for Halloween. I don’t think I’ve ever seen Frankenstein so adorable! 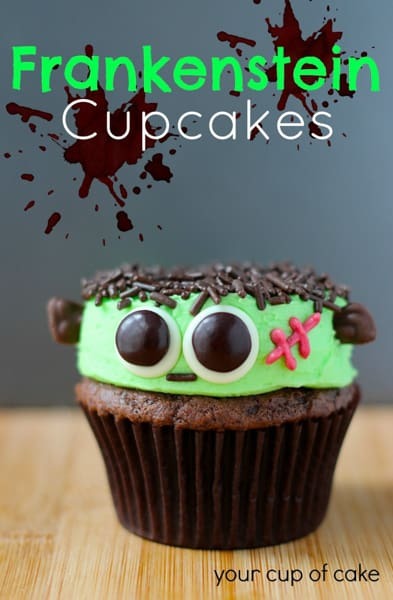 Love these Frankenstein Cupcakes (pictured above) by Your Cup of Cake. 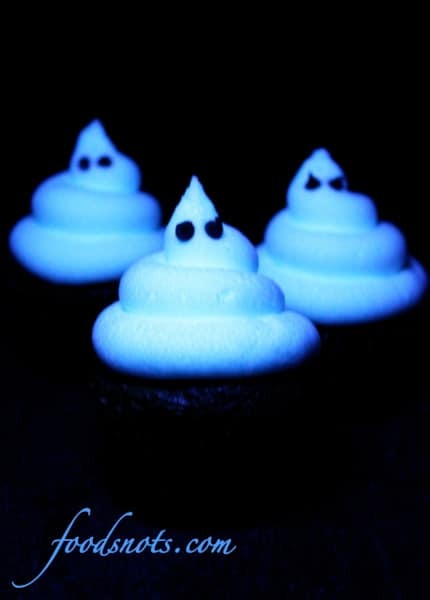 These Ghoulishly Glowing Cupcakes from Recipe Snobs are so unique. Kids are sure to be amazed by these! These Halloween Cauldron Cupcakes by Cookies and Cups have such amazing detail on them! 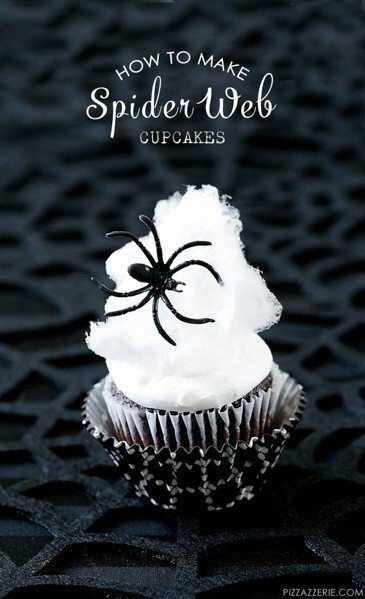 I never thought I’d have a craving for a spider but then I found these Oreo Spider Cupcakes from Confessions of a Cookbook Queen and now I want two! 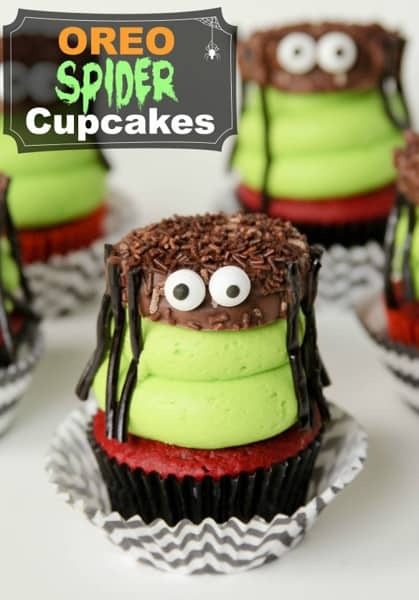 Hopefully you aren’t too terrified of spiders because these Spider Web Halloween Cupcakes by Pizzazzerie are so much fun! Can you guess what the spider web is made of? 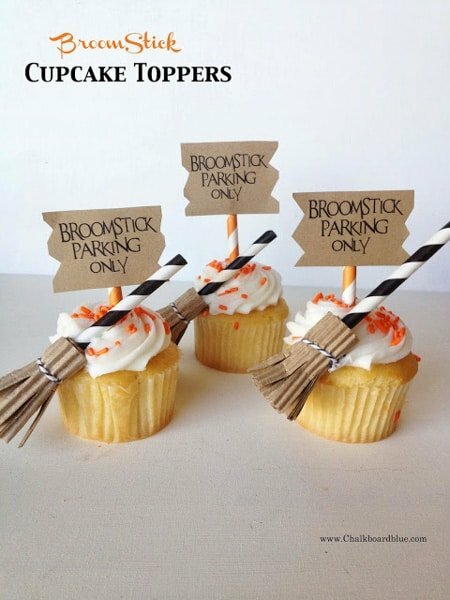 These Broomstick Cupcake Toppers by Chalkboard Blue are so clever! Hosting a Halloween party this year? 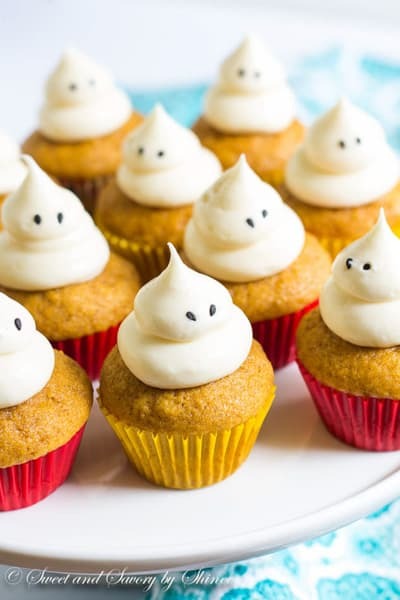 These Circus Peanut Pumpkin Cupcakes from Tastes of Lizzy T would be perfect for your party. 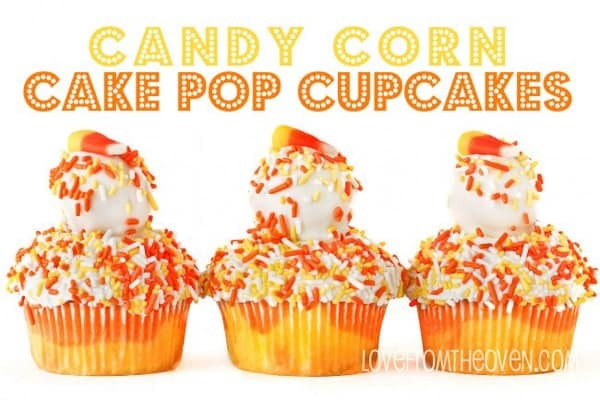 I love two desserts in one like these Candy Corn Cake Pop Cupcakes by Love From the Oven. A cake pop and a cupcake together as one? Yes, please! 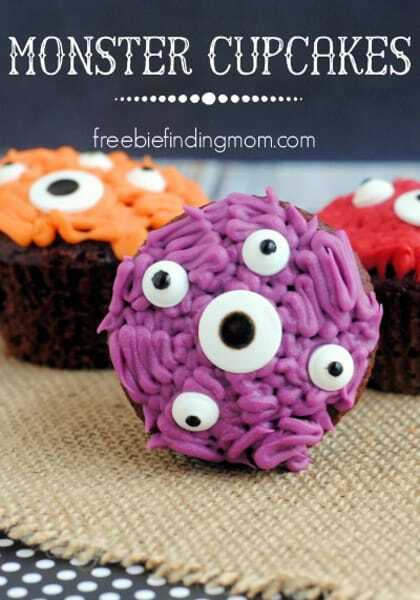 I love how creepy these Monster Cupcakes from Freebie Finding Mom are! I bet the kids would love to help decorate these ones. These Mini Pumpkin Cupcakes by Sweet and Savory by Shinee are so cute – just look at the ghost frosting! Boo! 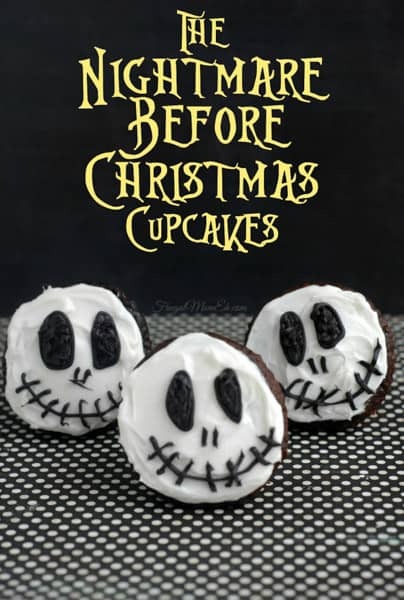 These Jack Skellington (The Nightmare Before Christmas) Cupcakes by Frugal Mom, Eh would be perfect for personalized favor bags for friends. 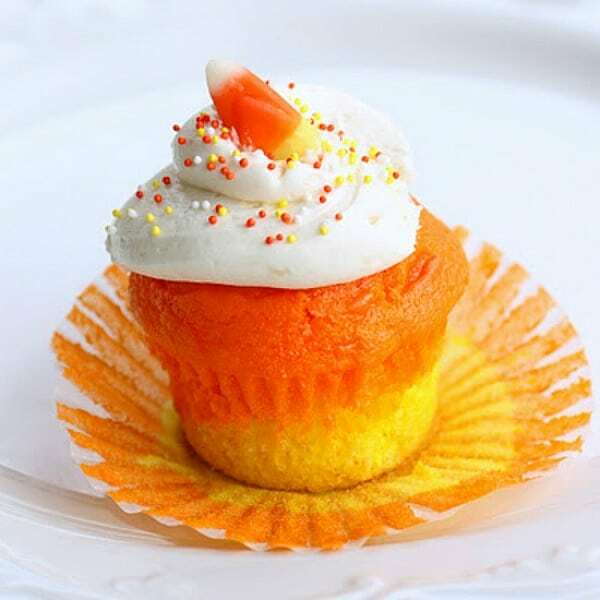 These Candy Corn Cupcakes from The Girl Who Ate Everything are so much fun! You can visit our Cupcake category for even more delicious recipe ideas. Check out our Halloween Fun page for more creative ideas for Halloween like games, party ideas, free printables and more! Stay updated on the latest ideas by following us on Facebook, Twitter, Pinterest, Google + and Bloglovin’.